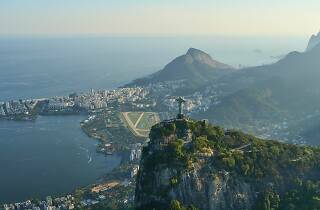 Football, samba, carnival, barely-there bikinis on incredible beaches—Rio has made its mark on the world in a myriad of ways. And can you believe that scenery? Soaring forest-covered peaks dwarf patches of concrete jungle, tumbling down to meet a dramatic natural bay. Away from the bustling sands of Copacabana and Ipanema, you’ll find dilapidated grandeur and resplendent street art in Santa Teresa, "Am I in Miami?" moments at Barra da Tijuca’s malls and chic restaurants, and breathing space in leafy, affluent Jardim Botannico or Gávea. No one throws a party like Rio’s hedonistic citizens, the cariocas, whose irrepressible joie de vivre spills out into ubiquitous street parties, music halls and the legendary annual Carnival. 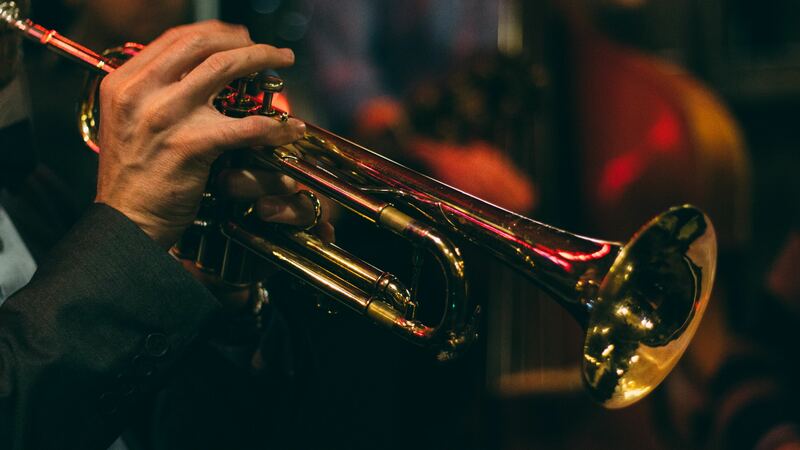 From lyrical, jazz-influenced bossa nova to rapid-fire samba, music is this city’s lifeblood. 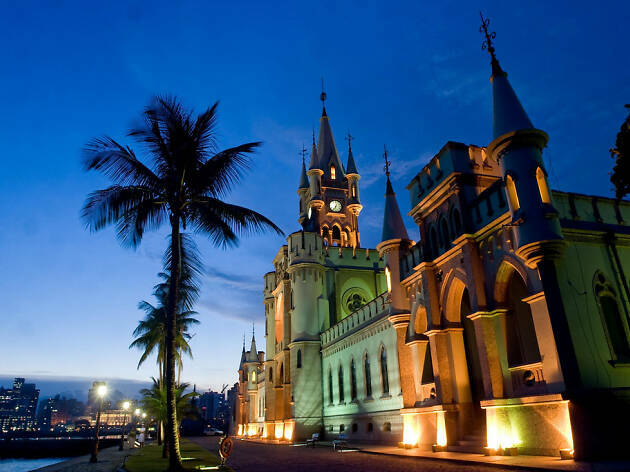 Though it’s no longer Brazil’s capital, its abundance of museums, hotels national monuments and nightlife would suggest otherwise. 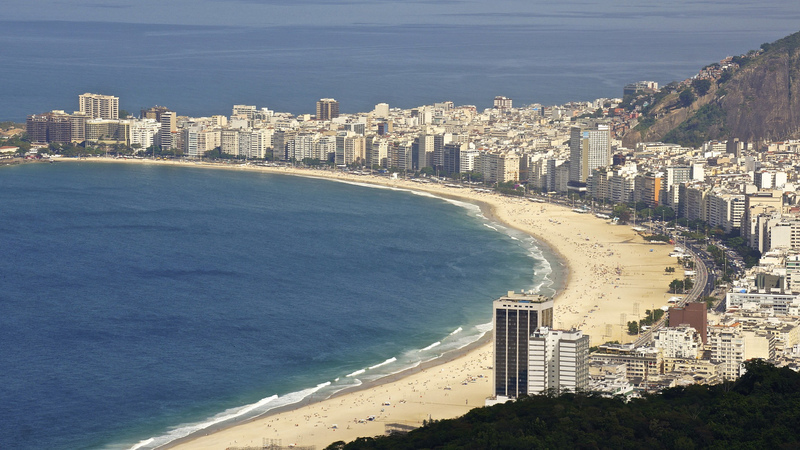 Simply intoxicating, Rio definitely deserves its "Miraculous City" moniker. What is it? 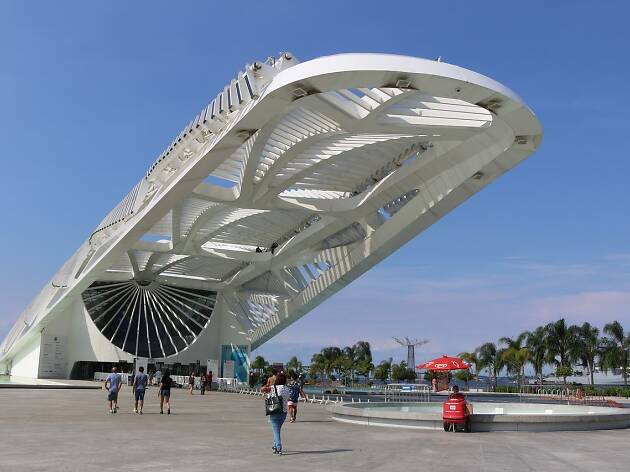 One of the 2016 Olympics’ most successful legacies, this groundbreaking science museum poses big questions about mankind’s future, inside an extraordinary neo-futurist building. Why go? Covering everything from geology to human nervous systems to smart cities, this is as far from a dusty, dry old museum as it gets. Immersive exhibits make powerful arguments for sustainability. Seeming to float above the regenerated port zone, even the architecture is eco: powered by solar panels and cooled by water from the bay. What is it? 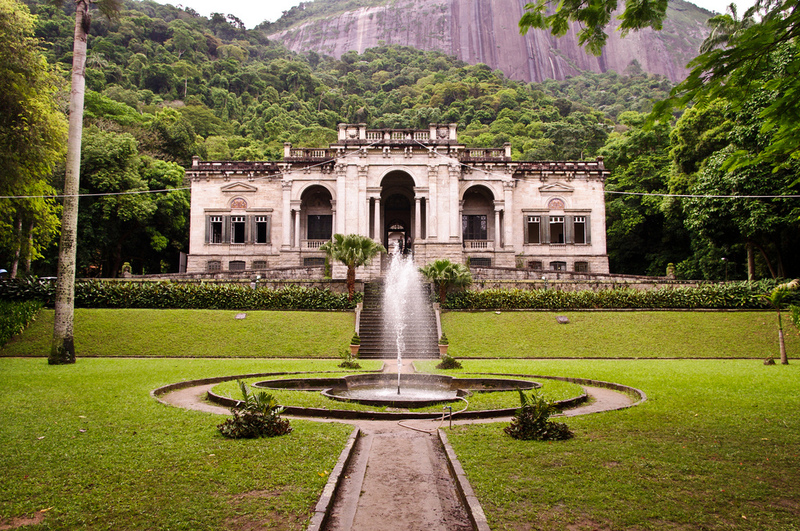 Historically known as 'Little Africa', this is the best area for getting immersed in Rio’s vibrant musical heritage. Why go? You’re walking (or, most likely, swaying) through the birthplace of samba, created by the slave community that once lived here. Live bands draw crowds of music lovers from near and far – especially for the free Monday and Friday night street parties. Cheap caipirinha stalls and colorful street art add to the carnival vibe. What is it? 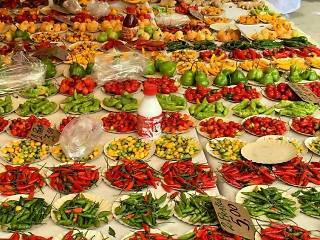 Gloria’s vibrant Sunday morning market is a magnet for diehard foodies. Why go? 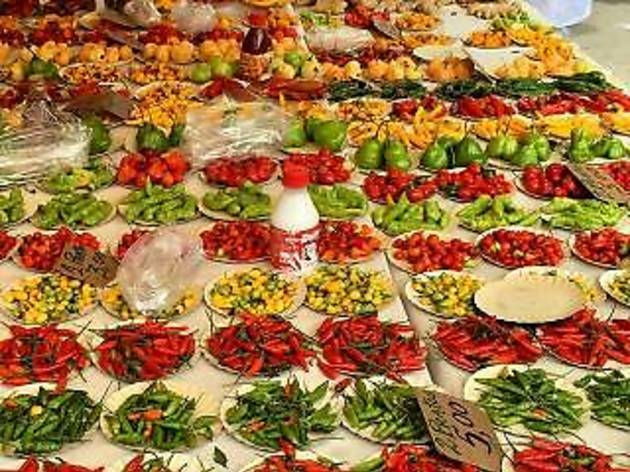 Off the tourist trail, this is the place to sample fresh Brazilian produce, from exotic fruits (jabuticaba, anyone?) to fish to artisanal cachaça, the national spirit. Feeling worse for wear after Saturday night? The classic market breakfast of pastels – hot pastries stuffed with meat, cheese or heart of palm – and a shot of pure sugarcane juice is like manna from heaven. What is it? Here’s the money shot: this tree-covered natural dome rising 1,299 ft above the harbor is one of Rio’s most recognizable symbols. Why go? The ascent by cable car goes in two stages – first to neighboring Urca Hill, then another steep journey up to Sugarloaf – while the jaw-dropping panoramas of beaches, skyscrapers and hills unfold beneath you. Glorious at any time of day, there’s something extra magical about being there for sunset, as the city lights flicker into life. What is it? A tiny, eccentric Copacabana bar, renowned for its live music. Why go? If you want silver service and a polite babble of conversation, keep on walking. But to hear authentic bossa nova (Brazil’s ‘new wave’ music style, born in the 1950s) or samba among a carioca crowd, grab a beer from the self-serve fridge and jostle into a good spot for a memorable evening. A local band occupies the main table, while photos of musical legends adorn the walls. What is it? 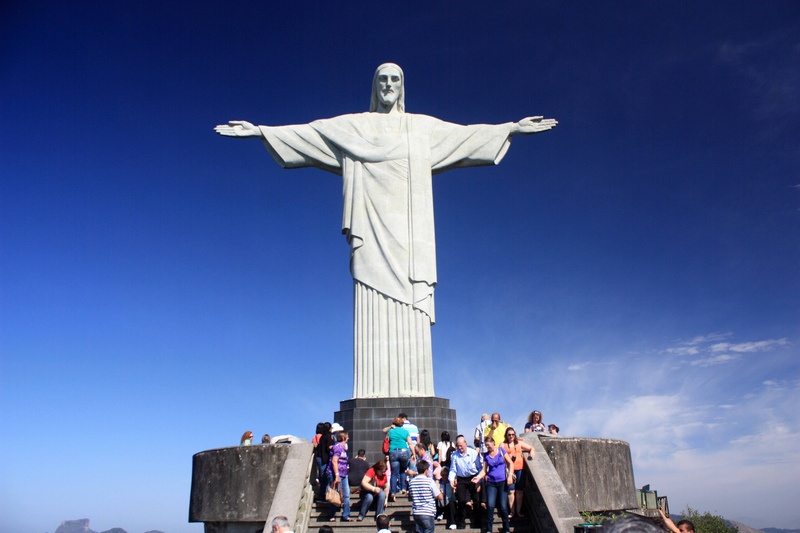 You’ll catch glimpses of this 98-feet-tall figure all around Rio, but don’t miss out on ascending Mount Corcovado to admire the iconic statue up-close. Why go? Standing at the base of this concrete colossus, it’s hard to know what to gawp at first: the feat of engineering by French sculptor Paul Landowski and Brazilian engineer Heitor da Silva Costa, or the bird’s eye view of the city sprawling below. 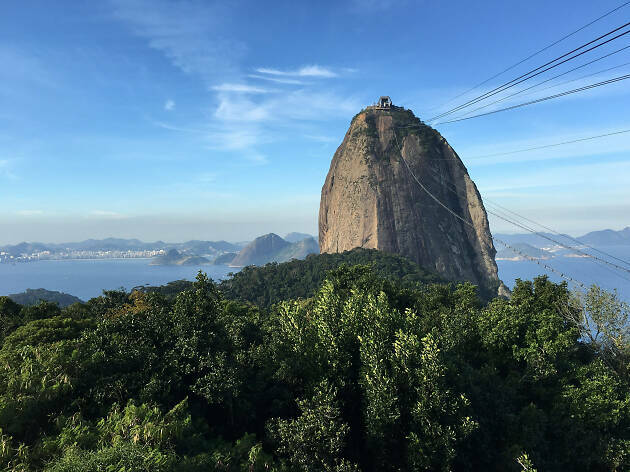 Reach the site via a scenic tram ride from Cosme Velho. What is it? 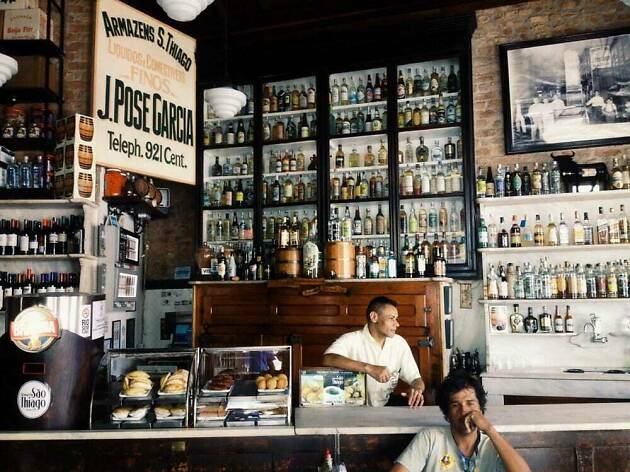 A quintessential neighborhood bar on the picturesque, cobbled streets of Santa Teresa. Why go? Take your pick from over sixty types of cachaça or a cold draught beer as you settle down to soak up the laidback atmosphere of this former Spanish grocery. It’s now a century old but as charming as ever. Salt cod fritters drizzled with the house hot sauce, or heartier meat dishes, sustain through languid afternoon drinking sessions. What is it? 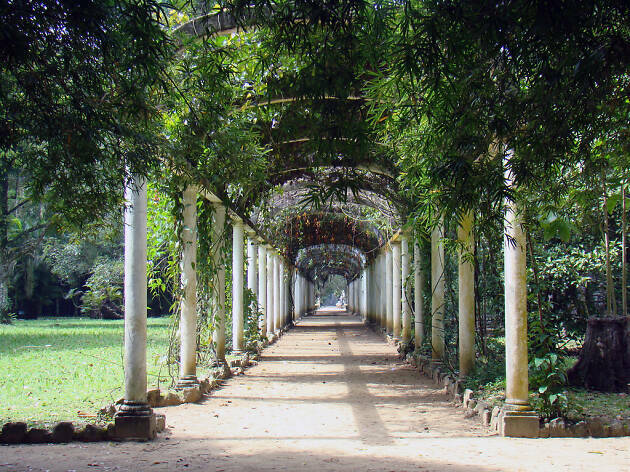 Not all of Rio’s natural wonders are at soaring heights – these 140-hectare gardens are a haven for over 9,000 different plant species, created by Brazil’s Prince Regent back in 1808. Why go? 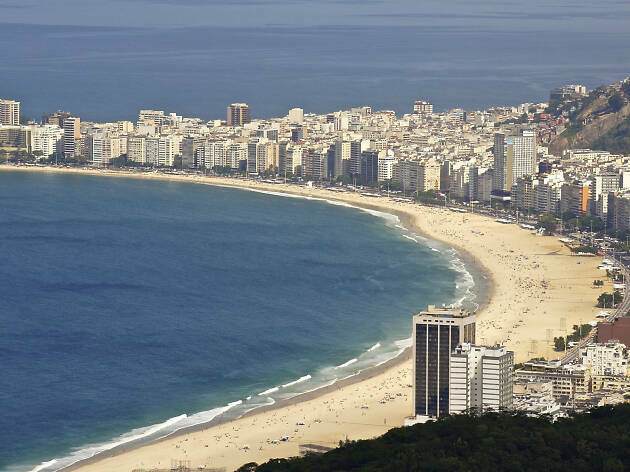 It’s the perfect paradise to chill out in after Rio’s more frenetic, hedonistic past times. Among the soaring imperial palm trees, delicate orchids and Amazonian lily ponds, resident marsupials provide entertainment. Keep your eyes peeled for toucans, tortoises and sloths, too. 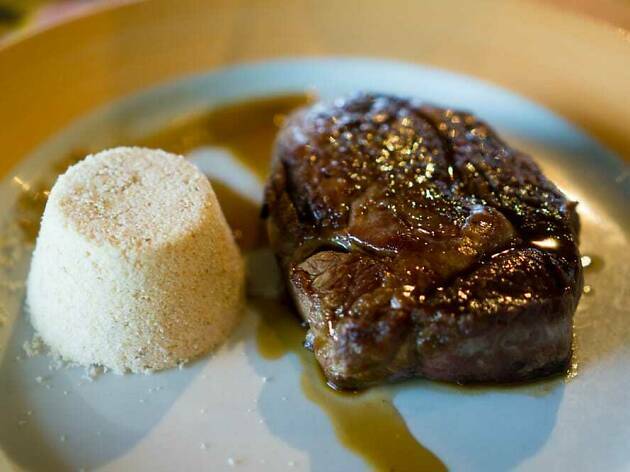 Photograph: Courtesy Yelp/Pedro Paulo B. What is it? 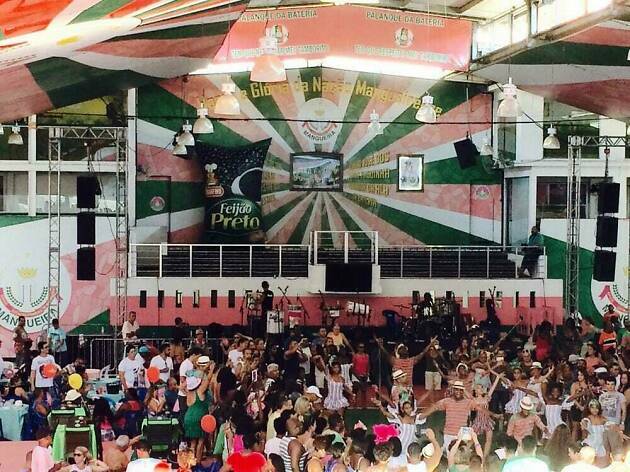 One of Rio’s oldest samba schools, with 19 parade prizes under its spangled belt. Why go? 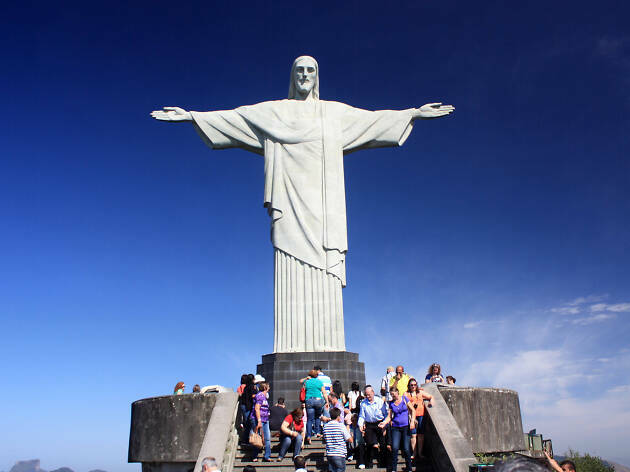 Preparing for the world’s greatest party is a year-round operation, so get a taste of the carnival magic even when visiting Rio outside the annual Ash Wednesday celebrations. The school opens its doors for regular evening performances and runs behind-the-scenes tours of its practice halls and workshops, where the dance routines are drilled and parade floats constructed. What is it? 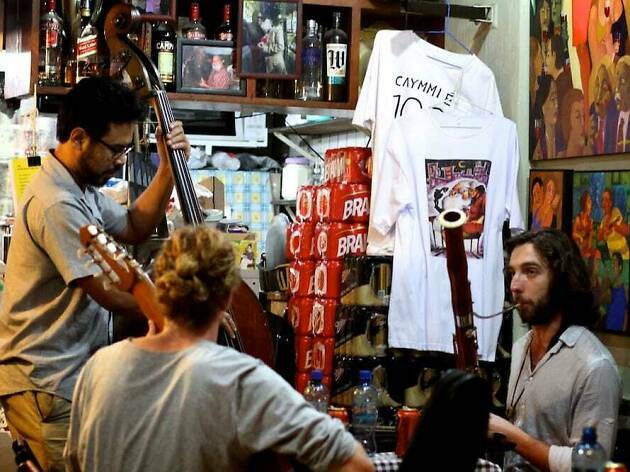 A thriving, one-of-a-kind jazz club in the Tavares Bastos favela. Why go? 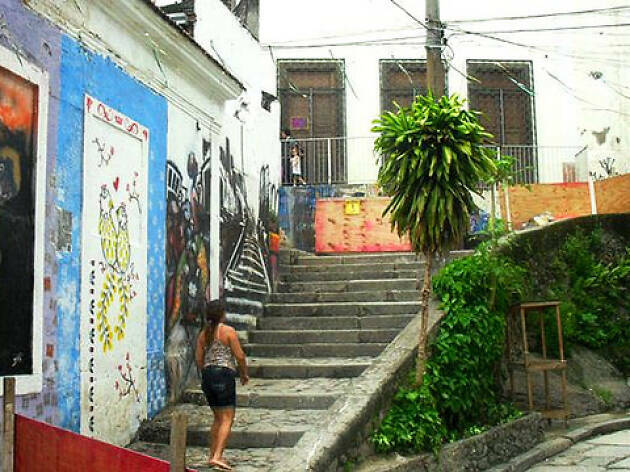 The friendly, creative environment here challenges any preconceptions of favela communities. 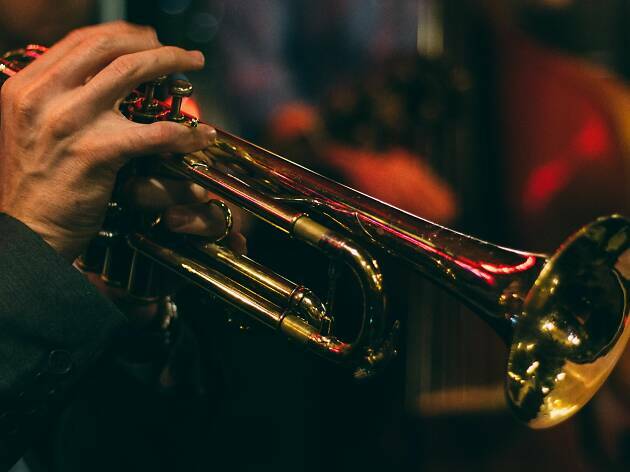 Chill on the outdoor patio with epic views across Guanabara Bay, or boogie indoors to live music – its legendary jazz nights take place on the first Friday of the month. The venue’s name comes from its Gaudi-esque labyrinth of winding, mosaic-patterned corridors. What is it? A rambling 19th-century estate turned public park, at the foot of Corcovado mountain. Why go? 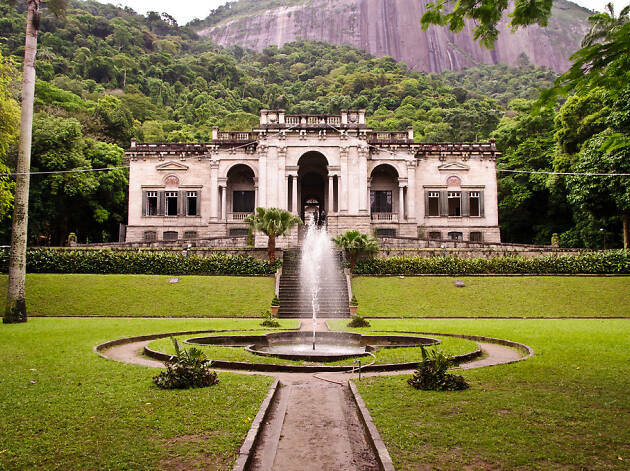 Music fans may recognize this opulent mansion, with its exotic jungle and mountain backdrop, from the video for Snoop Dogg and Pharrell Williams’ ‘Beautiful’. Caves, a hidden aquarium, free art exhibitions (the palace is now an art school) and palm-shaded pathways await discovery. Feeling adventurous? Follow the hiking trail all the way up to the Cristo. What is it? 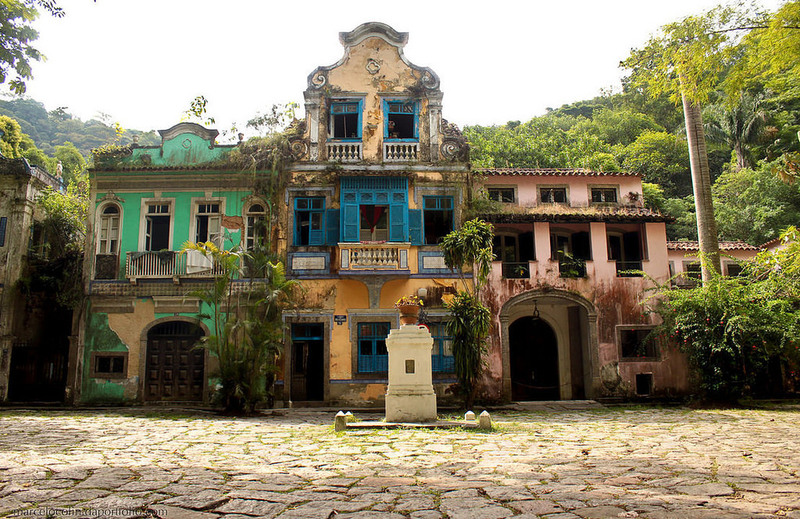 Tucked away in Cosme Velho, this square of colorful neocolonial houses is a photogenic, fascinating time-warp. Why go? Visiting Largo do Boticário 100 years ago, you’d have found glittering parties for the city’s artistic and political elite; a scene in 007 movie Moonraker was shot here. 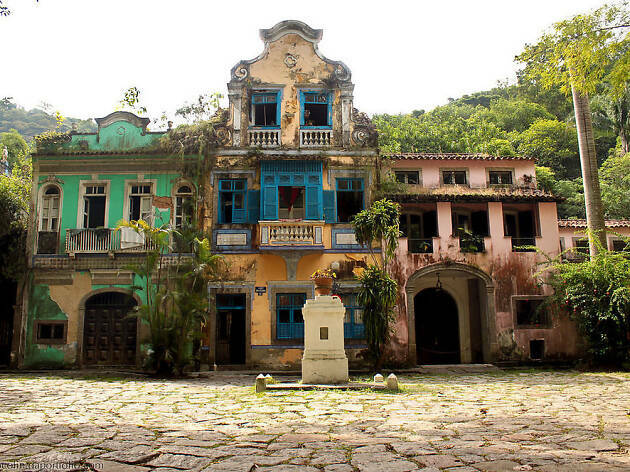 The square later fell on hard times, its grand buildings abandoned and reclaimed by rainforest foliage. Wander through what’s effectively an open-air museum and visit restored properties like number 32, now home to an art gallery. What is it? 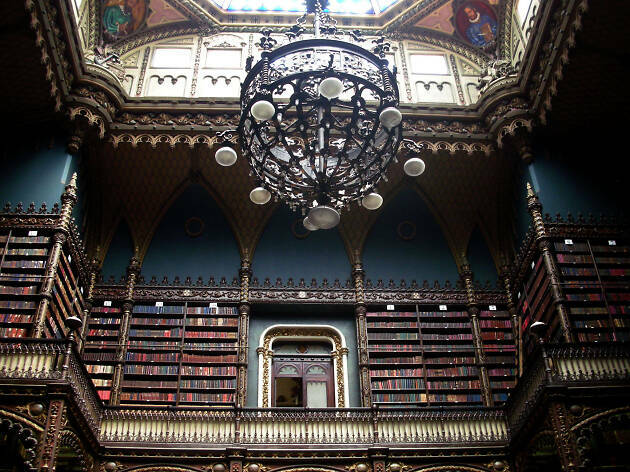 This little-known library in Rio’s city center is a bookworm’s paradise, home to a vast array of Portuguese literature. Why go? The collection is the biggest outside Portugal; even if you can’t read a word of it, the sight of three levels of rare manuscripts and leather-bound novels lining ornately-carved shelves is pretty spectacular. Built in the 1880s, its stained-glass skylight and dramatic chandelier would be at home in a cathedral – the library’s façade was even based on a Lisbon monastery. What is it? 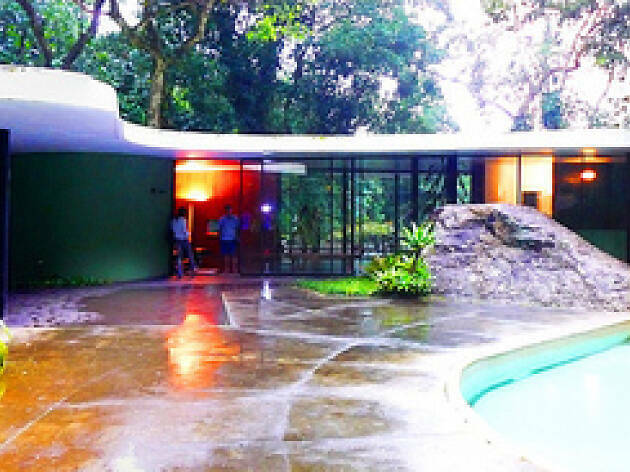 The former home of iconic Brazilian architect Oscar Niemeyer, who designed the building in 1951. Why go? Resplendent after recent renovations [re-opens Jan 2019], the building’s curvaceous white contours, slender steel columns and glass walls are textbook Niemeyer – this is the man who said he “deliberately disregarded the right angle.” While he’s responsible for dozens of iconic public buildings around Brazil, there’s something special about seeing the place he created for his family. What is it? A bustling, hugely popular barbecue restaurant for an all-you-can-eat feast. Why go? 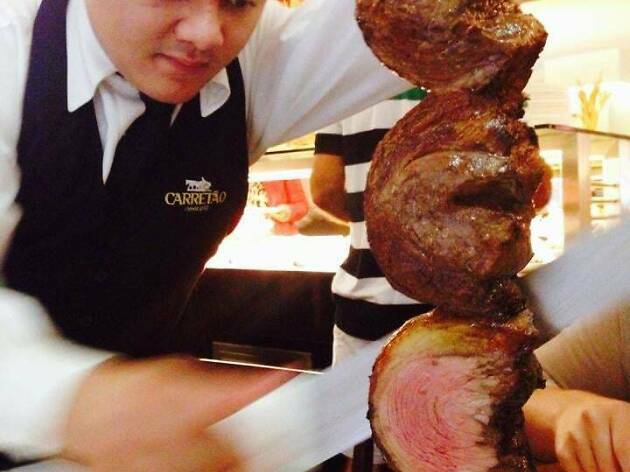 Everyone (okay, maybe not vegans) should sample an authentic churrascaria, aka grilled meat restaurant, while in Rio – they’re a staple of the Carioca food scene. Let the skewer-wielding waiters carve you all manner of grilled meats, and dig into a buffet heaped with salads and sides. What is it? 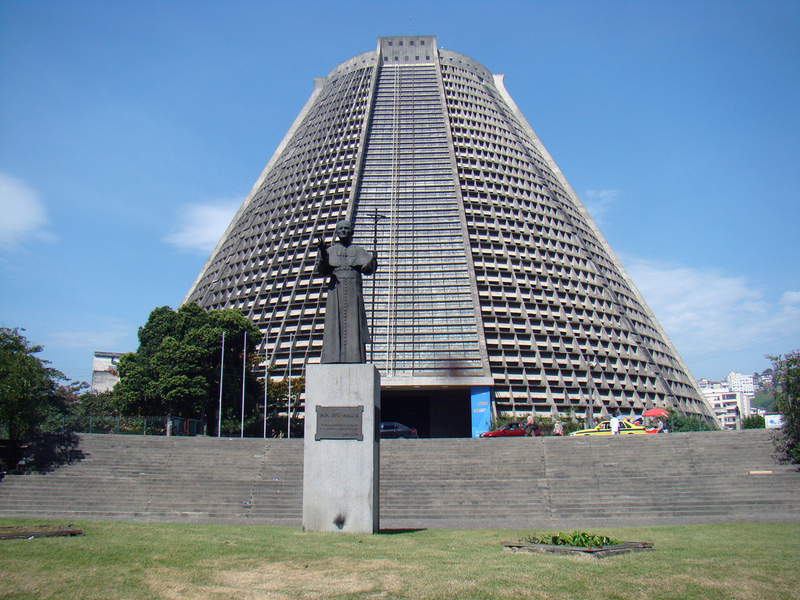 Designed by architect Edgar Fonseca and built through the 1960s-70s, this may well be the wackiest church you’ve ever laid eyes on. Why go? 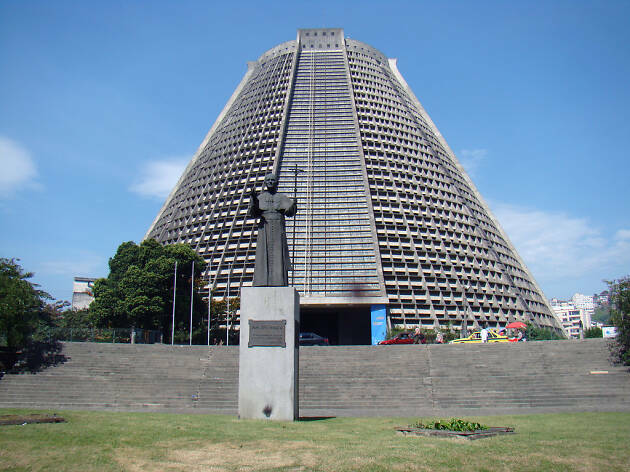 If Mayans and aliens collaborated on a building, it would probably look something like Rio’s vast Metropolitan Cathedral. Step inside this angular, technicolor pyramid to admire the soaring stained-glass windows, honeycomb walls and bronze plaques. Visit for Sunday Mass at 10 a.m. to get the full experience. What is it? 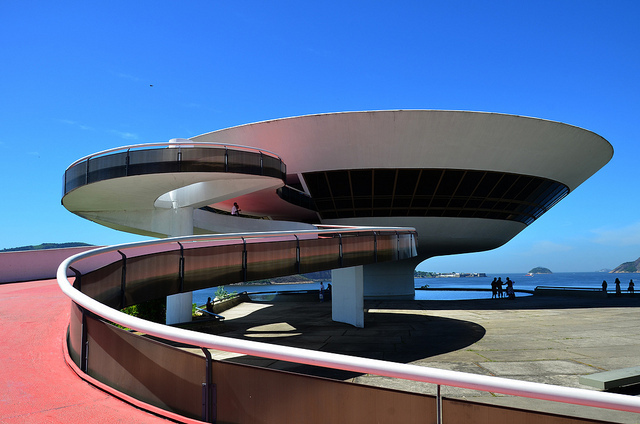 Poised on the edge of Guanabara Bay, MAM is a temple to art from the 20th and the 21st centuries. Why go? 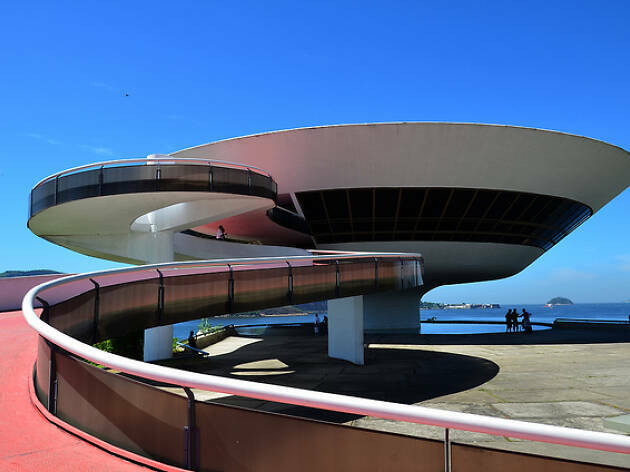 Despite a devastating fire in 1978, the museum’s permanent collection still dazzles – you’ll come across paintings by international modern masters Pollock and Miró as well as leading Brazilian artists Tarsila Amaral and Hélio Oiticica. The modernist gardens by Roberto Burle Marx and dynamic temporary exhibitions add to the edifying experience. What is it? For fine dining with a mesmerizing view, this family-run hilltop restaurant comes up trumps. Why go? Dine in quirky thatched huts while the palms sway and city lights twinkle below. The food matches up to the setting, hopping around traditional recipes from Brazil’s regions and paired with fruity craft cocktails or house-brewed beer. 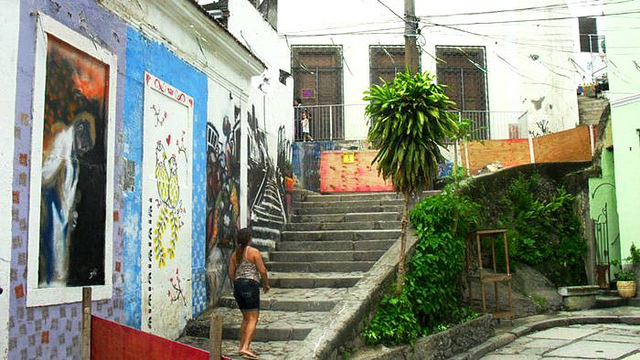 Leave plenty of time to wander Santa Teresa’s steep cobblestone streets before diner – it’s one of Rio’s prettiest quarters. What is it? 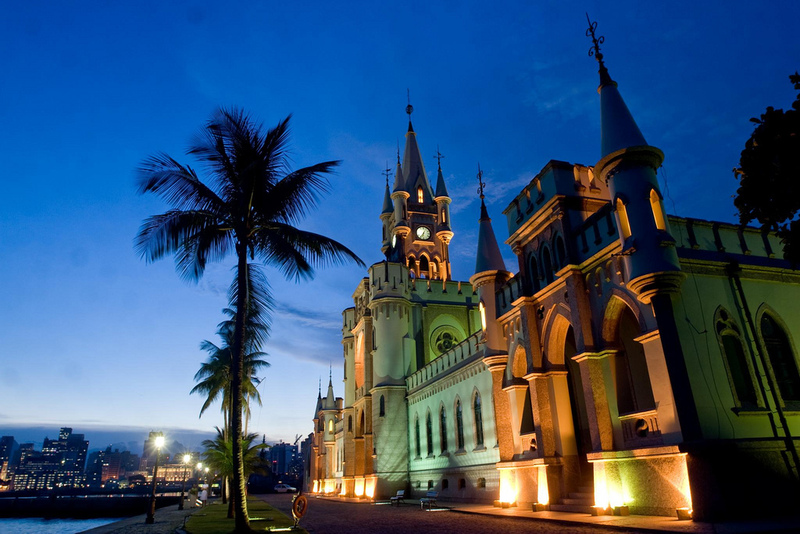 A neo-gothic palace perched on a tiny island out in Guanabara Bay. Why go? Once upon a time this was the managerial home of Rio’s port operations; fast-forward 100 years and it’s been repurposed as a cultural museum. 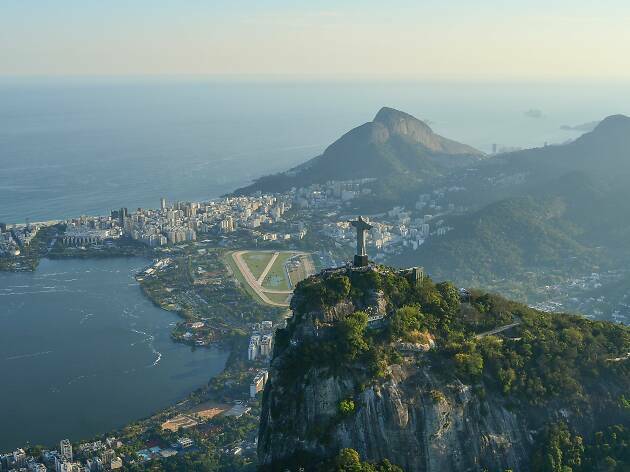 Take a guided tour of the grand lounges and fairytale-like tower for a fascinating slice of city history, as well as getting a cool perspective of Rio’s dramatic bay, Sugarloaf and Christ the Redeemer. What is it? This world-famous, 2.5 mile stretch of golden sand is the place for fun in the sun. Why go? You were hardly going to visit the home of Havaianas without hitting the beach at some point, were you? Sun-worshipping locals flock here to play beach volleyball or football, top up their enviable tans and catch some waves. Mobile vendors of everything from grilled cheese to sardines to caipirinhas provide sustenance while you’re being a beach bum. 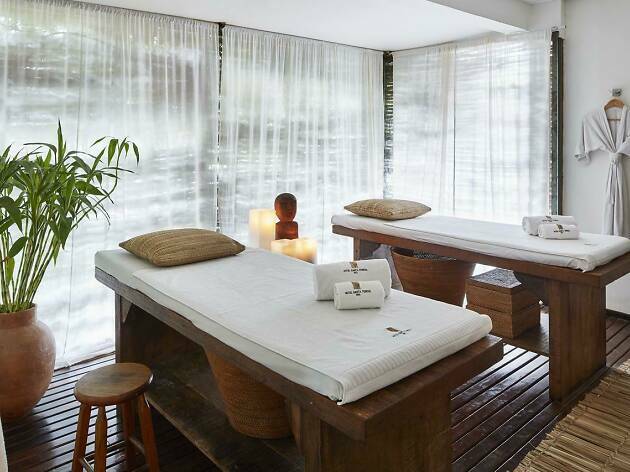 Seeking respite from Rio’s hedonistic side? 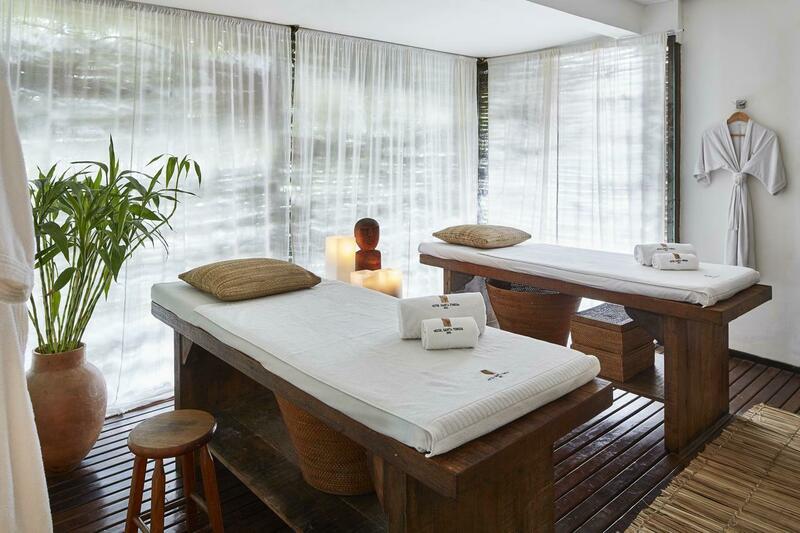 The city has no shortage of world-class day spas, which are just the ticket to soothe aching limbs after all that samba dancing and hiking around the city’s many hilltop sights.